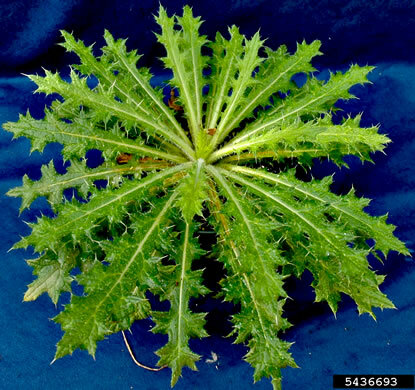 Leaves elliptic to oblanceolate, hirsute to scabrous above, and dissected, per Vascular Flora of the Carolinas. 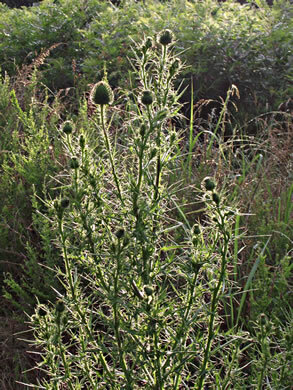 A robust biennial 1-2m tall, leafy to near its summit, per Vascular Flora of the Carolinas. 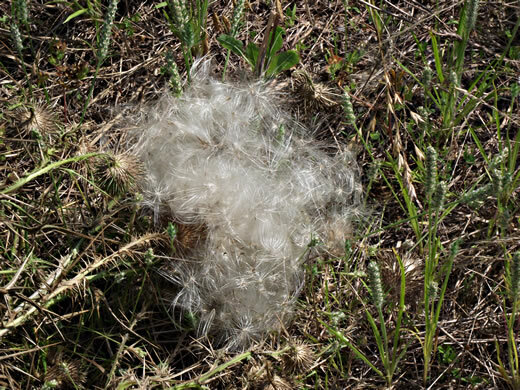 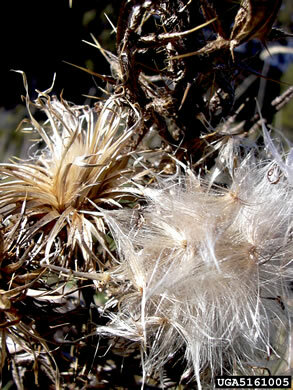 Pappus white, plumose [feathery], 2-3cm long, per Vascular Flora of the Carolinas. 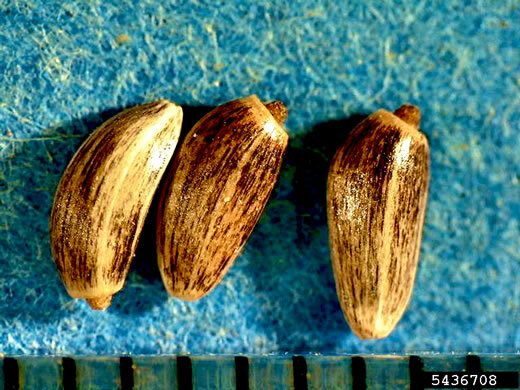 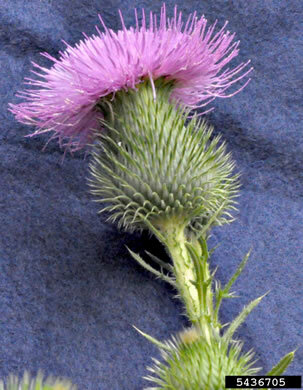 Involucral bracts narrowly pointed, rigid, not sticky, per Wildflowers in the Field and Forest. 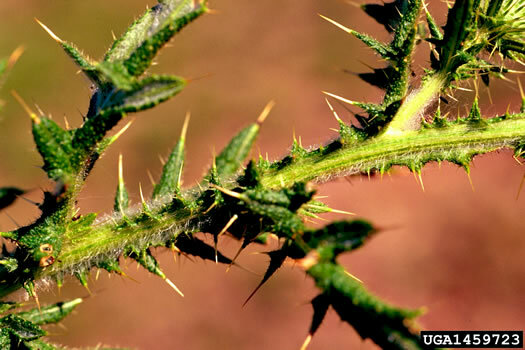 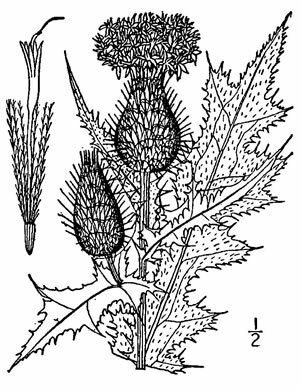 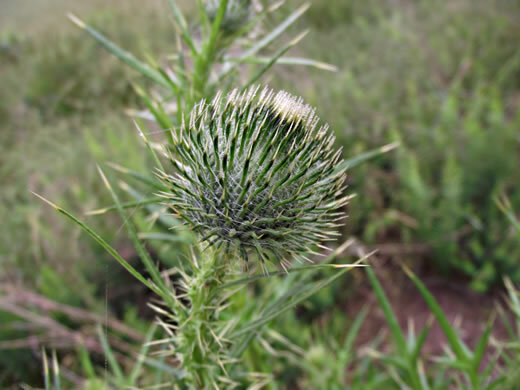 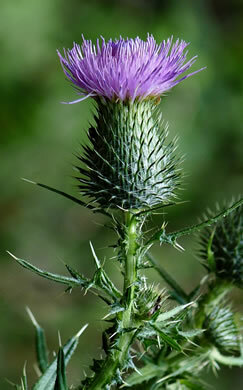 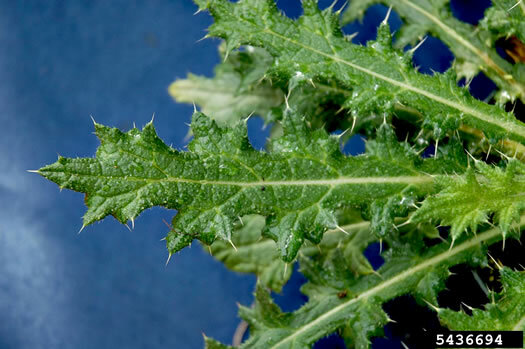 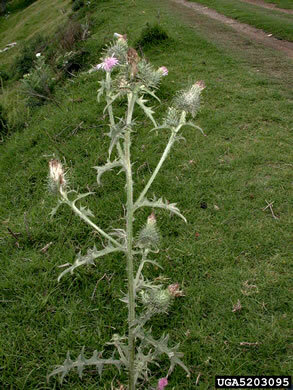 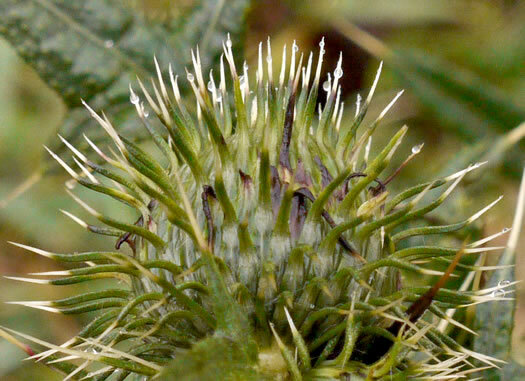 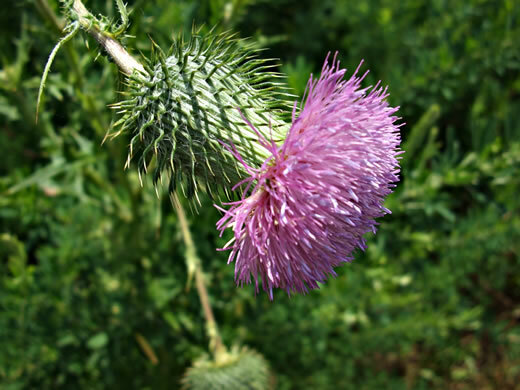 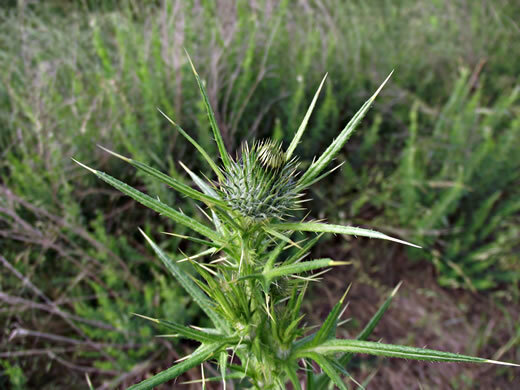 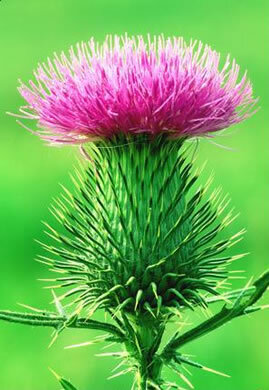 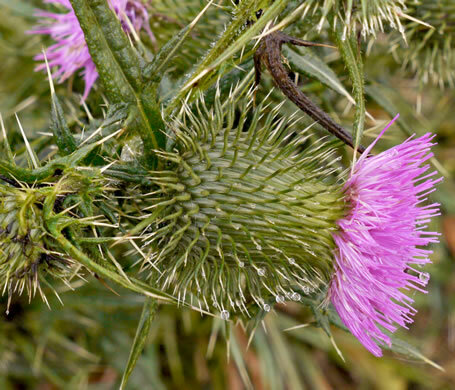 Our only Cirsium with leaf bases that extend down stem forming prickly wings, per Wildflowers of the Southern Mountains. 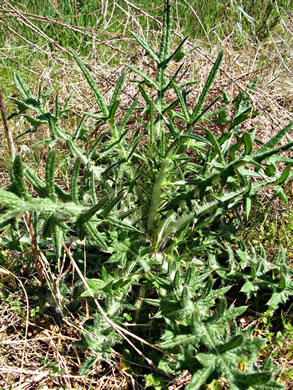 Involucres 1.0"-1.5" tall, bracts all have distinct yellowish spines, per Wildflowers of Tennessee, the Ohio Valley, and the Southern Appalachians.